Neruby’s ecommerce software services and packages have helped many online merchants to realize the potential of their business, while at the same time improving web store visibility and how shoppers interact with the website. Our advanced ecommerce technology blended with support from our staff of experts is the perfect solution for businesses of all sizes. Through years of real world experience, thousands of hours of research and testing, and by listening to feedback from users, we are able to provide our clients with the results required to become a successful merchant seller. We currently use a variety of specific service aspects along with our proprietary ecommerce strategies and technical assistance to achieve the results our clients have come to expect. Through the power of our advanced ecommerce software, shopping cart technology, built-in marketing and SEO, custom web design and a dashboard packed full of tools that make managing your store a breeze, we hope to help you realize your potential for ecommerce success and improve your brand and product exposure. To make things convenient for our clients, Neruby has gone beyond just developing technology and tools that are easy to use and deliver results quickly. In addition, we have taken all the guess work out by grouping our services together into affordable ecommerce packages that are designed to meet the needs of different sellers, whether based on industry, company size, number of products, features or budget. In order to assist companies to tap into the e-commerce potential offered by the Internet, we have developed a unique product called e-Shop. 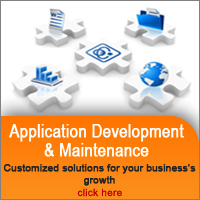 e-Shop will enable your organization to establish your e-presence within minutes. You will be able to sell your products and services over the Internet instantly and with ease. Contact us today to see how we can help you conduct your business online!